Its time for Taiwan again! but this time for Beauty Industry. 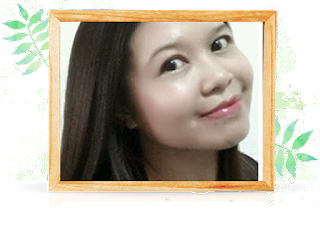 While many people focus in South Korea and Japan Beauty product, myself finds Taiwan Beauty Industry too has many good product to explore. Moreover their climate are more or less similar to ours here. Famous Brand name like Naruku, Dr Morita , Dr Wu are well known in many countries. 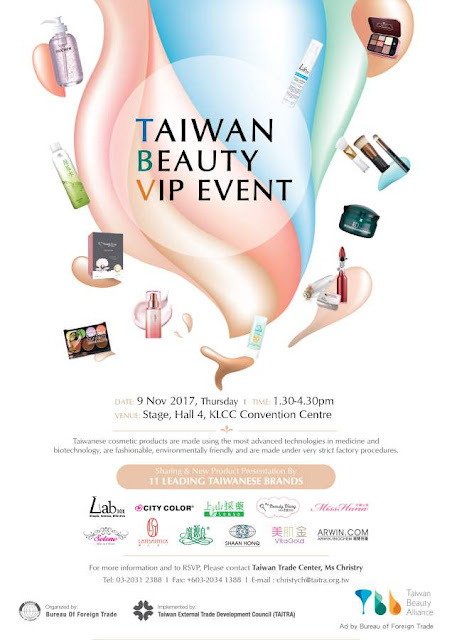 Same like last year , I was invited to attend the Taiwan Beauty Expo and this time it will held at KLCC Convention Center. Many brand name that I not familiar with waiting for me to explore. I am so excited! This time 11 more Taiwan Beauty brands was selected to visit Kuala Lumpur to share their beauty brands to Malaysian. Who is coming on 9th November 2017? See you there! wow. too bad i'm staying in JB. bila ada expo macam ni la senang nak dapatkan sample and more info in details bout product. This sounds like a fun event. I have never heard of these brands before but I'm interested to check them out. Thanks for the info. So lucky if able to join the event. Although Taiwanese skincare is not as popular as Japanese or Korean, they are up and coming. It is really worth to explore, except that I am banana and can't read Mandarin. I'd probab;y be someone who would brush my teeth with facial cleanser. Thank you for the info. Will recommend this expo for my cousin sis because she's a fan of Taiwanese skincare. Where to watch beautiful Sunset in Labuan ?